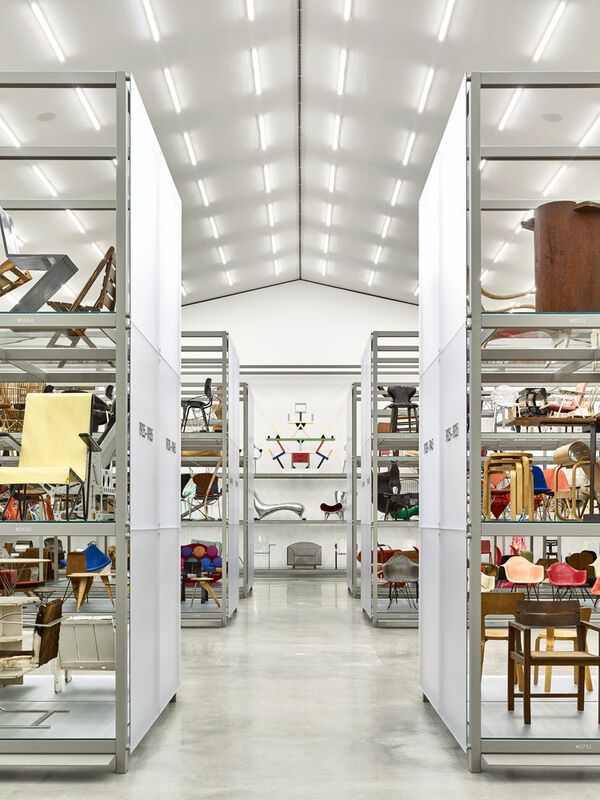 The Vitra Design Museum in Germany has opened a new archive and exhibition space, called Schaudepot, which houses a collection of approximately 7,000 designs including prototypes of 20th century classics by Charles and Ray Eames. 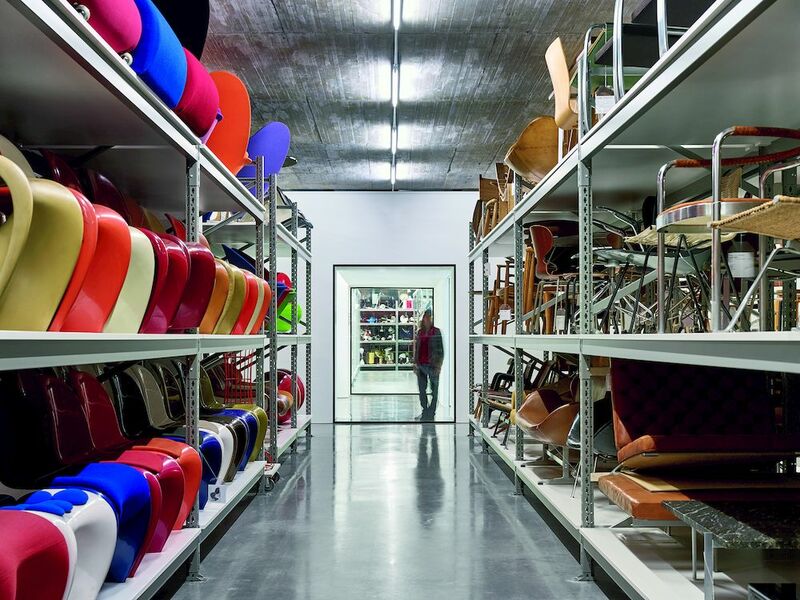 The Swiss furniture manufacturer’s collections were previously stowed underground and out of public view, but the Schaudepot, directly translating to “show depot”, brings the collections out of hiding and into the open. The 1,000m2 addition was designed by Basel-based architecture firm Herzog & de Meuron, who designed the recent addition to the Tate Modern. 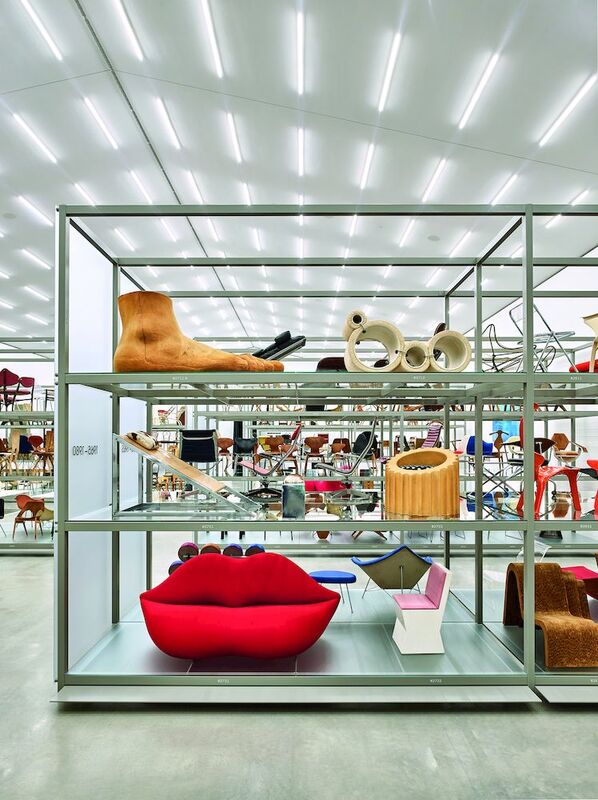 Basel-based studio Dieter Thiel designed the interior and exhibition spaces. 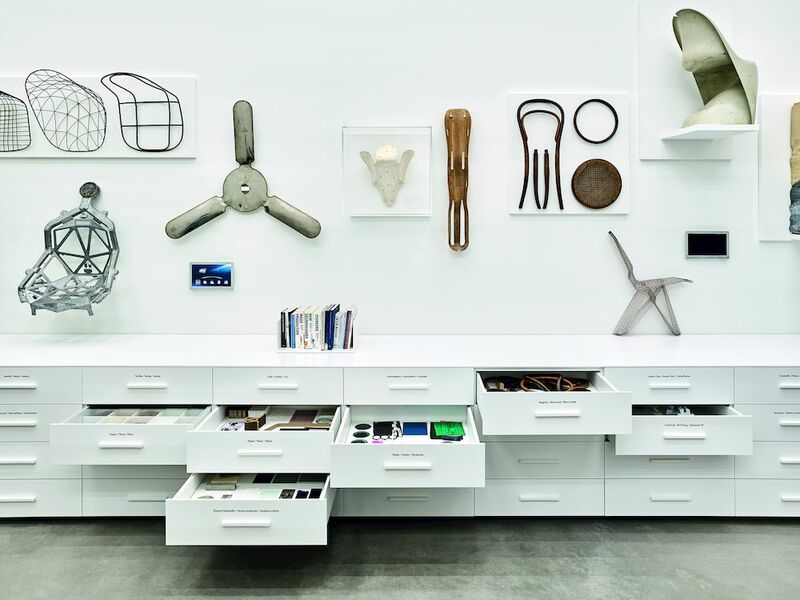 Thiel previously worked with Vitra on exhibition design and has done projects for Adidas, pen manufacturer Lamy and lighting company Ansorg, among others. 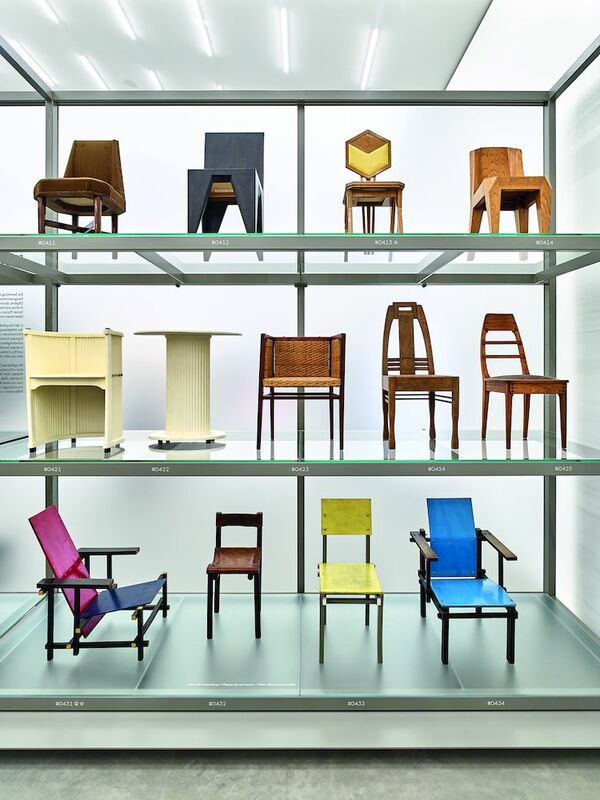 The centrepiece of the Schaudepot is a permanent exhibition with more than 400 pieces of modern industrial design from 1800 to the present, including early Bentwood design, Classical Modernist icons by Le Corbusier, Alvar Aalto and Gerrit Rietveld, colourful Pop-era plastics and more recent 3D printed designs. 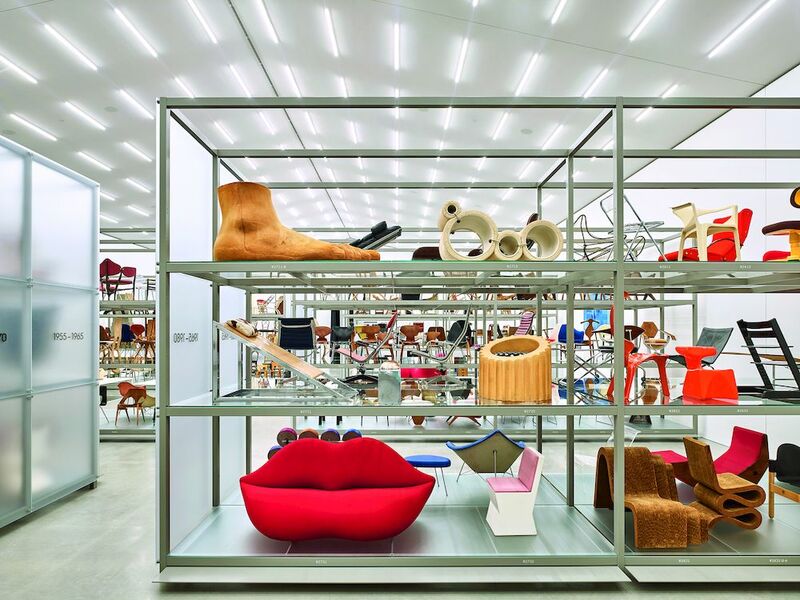 The permanent exhibition, which features the chronological “canon of Vitra” along with some lesser-known pieces, is accompanied by smaller temporary exhibitions relating to the main collection, beginning with a 430-piece display that follows the history of furniture design from the late 18th century to present. 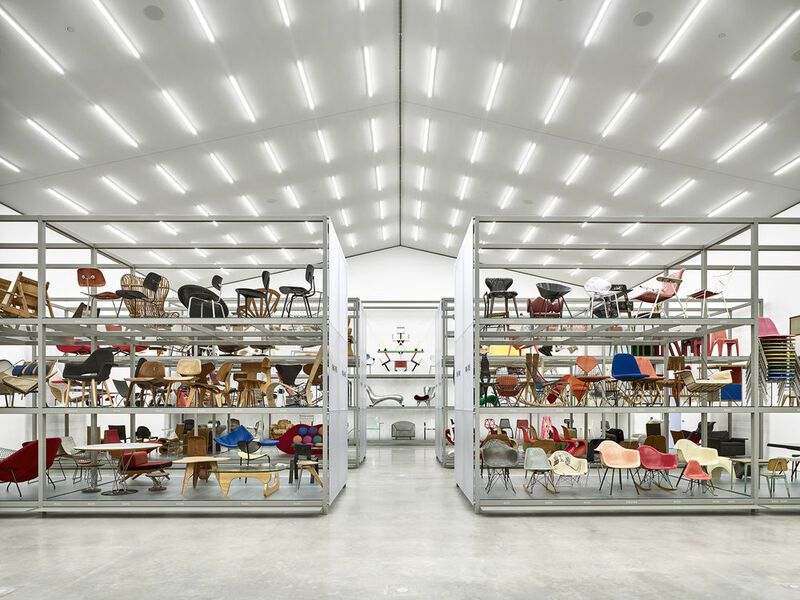 The modern interior design makes use of large steel and glass shelving and fluorescent lighting to eschew showiness and emphasise the furniture designs as the focal point in a cathedral-like space, says the Vitra Design Museum’s chief curator Jochen Eisenbrand. 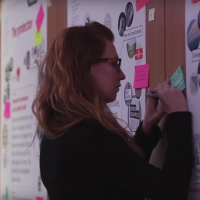 Each design is assigned a number, which patrons can enter into a tablet to learn more information about the piece’s designer, manufacturer and date of creation. 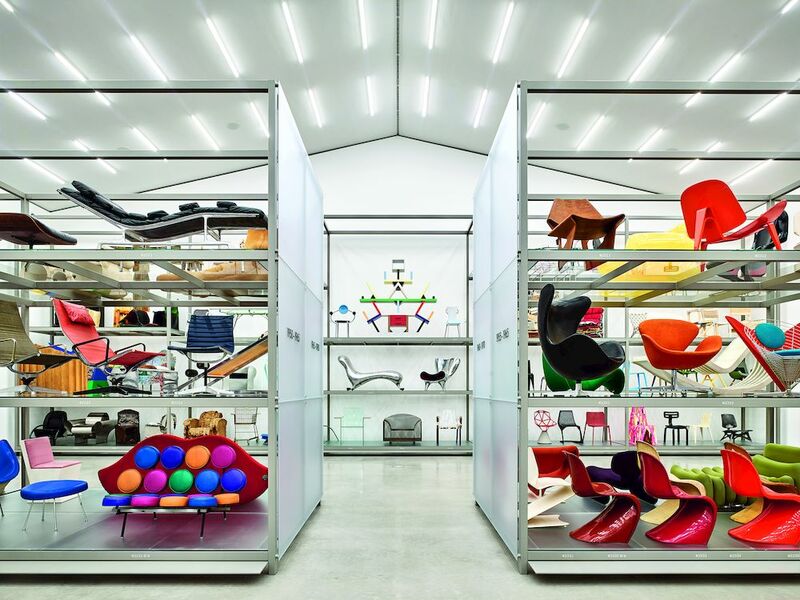 As its name suggests, the building’s curatorial design aestheticises its function as an open-viewing storehouse. The building’s basement, which formerly housed the collection out of public view, can now be accessed via a staircase. 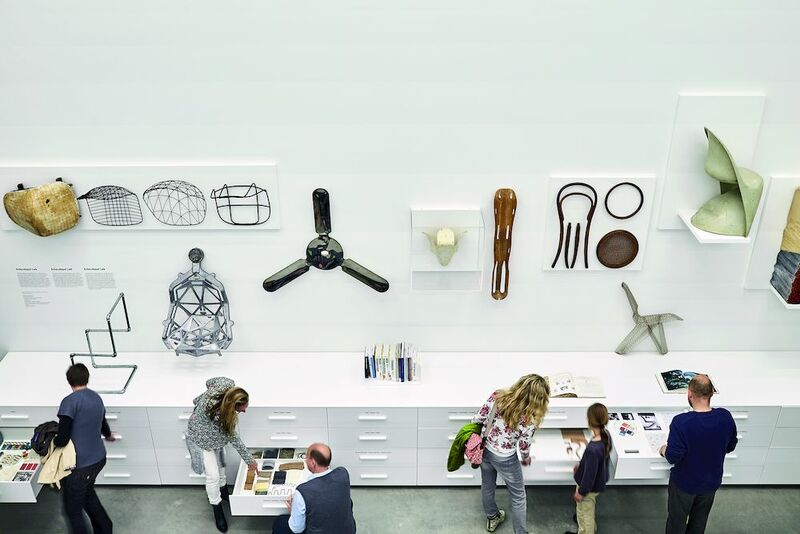 Four large windows invite visitors to peer in at the Scandinavian, Italian, lighting and Eames collections. “We’re just relieved and excited to finally have the space to bring the pieces out of storage and into the public museum. Many of them have been in storage since 1989 when the main museum opened,” says Eisenbrand. 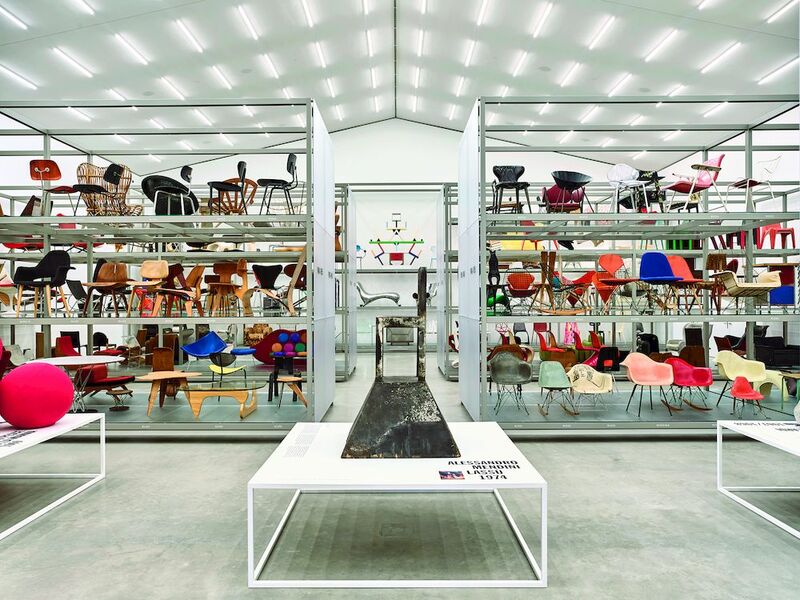 The building sits on the Vitra campus, which acts as a hub for the Swiss furniture manufacturer and was visited by 350,000 people last year. The site features buildings by contemporary architects including Frank Gehry, Tadao Ando and the late Zaha Hadid. 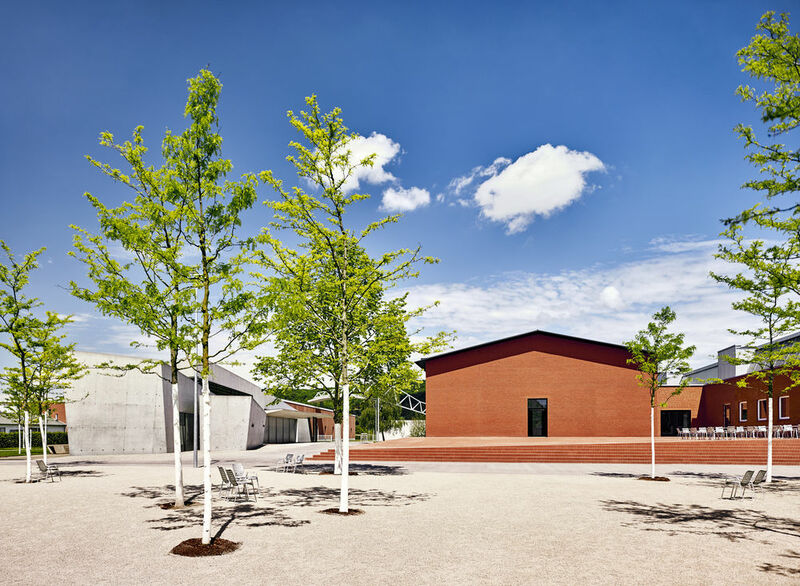 All images courtesy of the Vitra Design Museum.